WHAT: Residential Energy Assessment Services, Inc. (REAS) presents the GRAND OPENING of the ZENERGY House, its green residential remodel project located in Studio City, CA. The grand opening will feature noted environmental activists, tours, and refreshments. ZENERGY House was conceived as a living example and educational tool for the average person to learn about and incorporate greener elements into their home environment. The one-story home was originally built in 1950 and includes 3 bedrooms, 3 bathrooms, 2,450 sq. ft. of living space, and a pool. The home was selected because of its unique architecture and because the home’s size reflects the national average for square footage. The ZENERGY House will host a number of seminars and tours for architects, builders, designers, government officials, realtors, financial institutions, homeowners and other interested parties through 2010. Supporting ZENERGY House’s educational mission, tours will be performed by students from LACHSA (Los Angeles County High School for the Arts)‘The Giving Tree Club’ who have attended specific training events at the property. The project’s major improvements address the mechanical systems; lighting; energy management systems; building envelope; ventilation; water conservation; appliances; interior finishes; and renewable energy. The home also showcases green furnishings; textiles; art; and wallpaper. 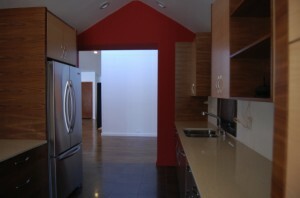 For a complete listing of materials, sponsors and technologies used in the home please visit: www.ZenergyHouse.com. WHO: Speakers at the event include renowned environmental activist Ed Begley, Jr., Senator Fran Pavely, author of bill AB 32 – the California Global Warming Solutions Act of 2006, and Tammy Schwolsky, CEO of REAS, Inc.
WHY: The ZENERGY House project was created by REAS as a prototype for “greening” existing homes. This High Performance Green Home is the first comprehensive remodel in Los Angeles that combines building science based energy auditing with environmentally responsible design and construction to create a net-zero energy, healthy, whole house designer showcase. The benefits of a high performance green home are improved health, safety, comfort and the ability to protect property values from escalating energy costs. The work of REAS and the ZENERGY House project reflect the goals outlined by Pres. Obama’s plan for incentives for homeowners to make energy efficiency investments in their homes, through, for example, his proposed “HOMESTAR” program and “Cash for Caulkers”. WHEN: Friday, April 2nd 2pm-5pm. Tours begin at 2:30pm. Residential Energy Assessment Services, Inc. (REAS) is a multi-disciplined consulting, auditing and training firm with extensive expertise in Energy Efficiency Building Analysis with a focus on auditing, design and rehabilitation. REAS provides cost-saving energy solutions to provide owners and agencies with planning and implementation of energy-efficient technologies, water conservation and renewable energy systems. 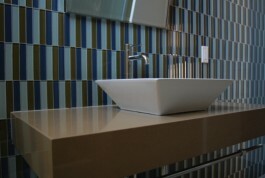 REAS consultants are LEED APs, HERS, BPI and GreenPoint Rated Professionals and is a licensed general contractor. The REAS, Train to Sustain program provides comprehensive green job training to build an inclusive infrastructure of skilled professionals to meet the demands of the emerging green economy. www.ReasEnergy.com.